Who wants to go?! 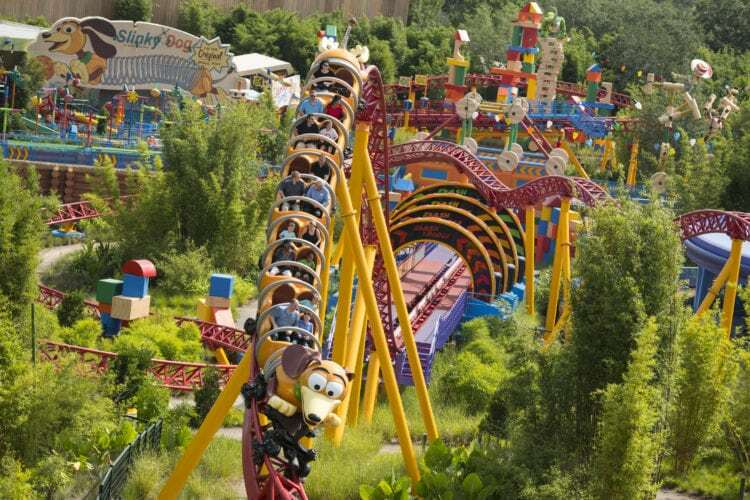 The Slinky Dog roller coaster looks so fun! “Toy Story” fans, get ready to go to infinity and beyond! 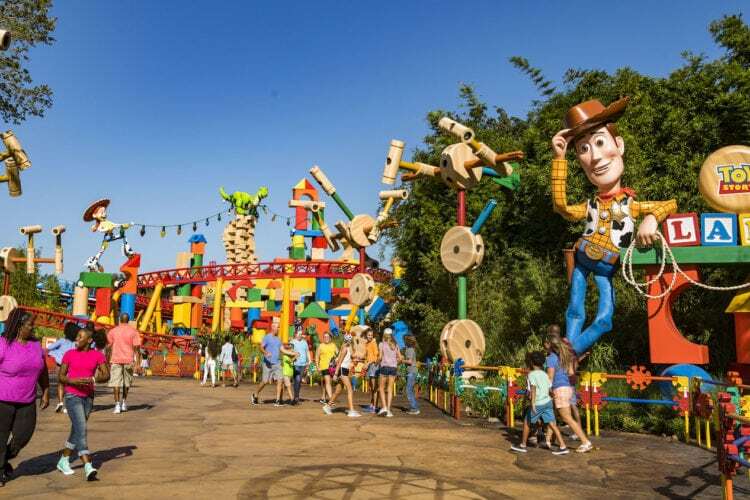 This weekend, Disney World’s Toy Story Land will officially open and, if the photos are any indication, it’s going to be lots of fun. Three years in the making, Toy Story Land is set to open Saturday, June 30 at the Disney’s Hollywood Studios park at Florida’s Walt Disney World. 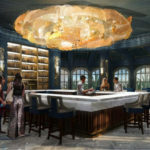 And, true to the world of Toy Story, the 11-acre destination will make guests feel like they’ve just stepped out of the toy box and into a world where everything is gigantic. Starving after a day of exciting fun? 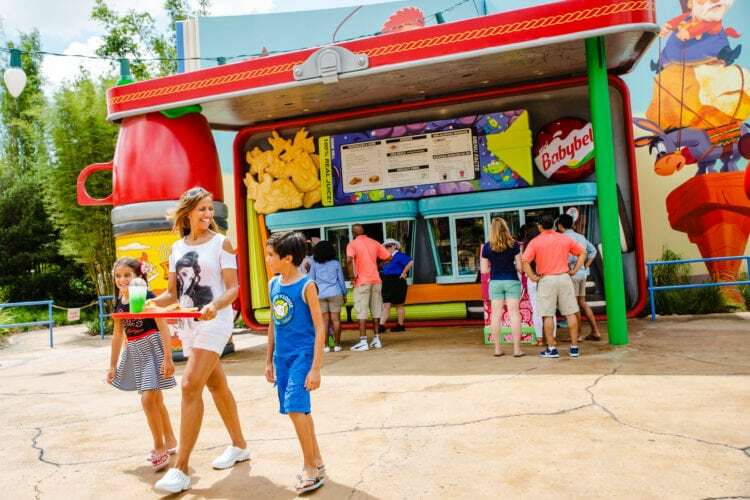 Park guests can grab a bite at Toy Story Land’s quick-serve restaurant, Woody’s Lunch Box. The “Toy Story”-inspired menu puts a modern twist to classic fare (think nachos with potato barrels and corn chips!) while also offering specialty drinks and nostalgic soda floats. Before leaving Andy’s backyard, guests can stop by one of two retail stands to pick up a playful gift to remember the day by. Go home with an alien headband, a light-up Slink Dog toy, a t-shirt or building blocks featuring favorite characters from the Toy Story movies — plus so much more! Ahead of the grand opening, Disney Parks will host a dedication ceremony on June 29 to welcome Toy Story Land to Disney’s Hollywood Studios. 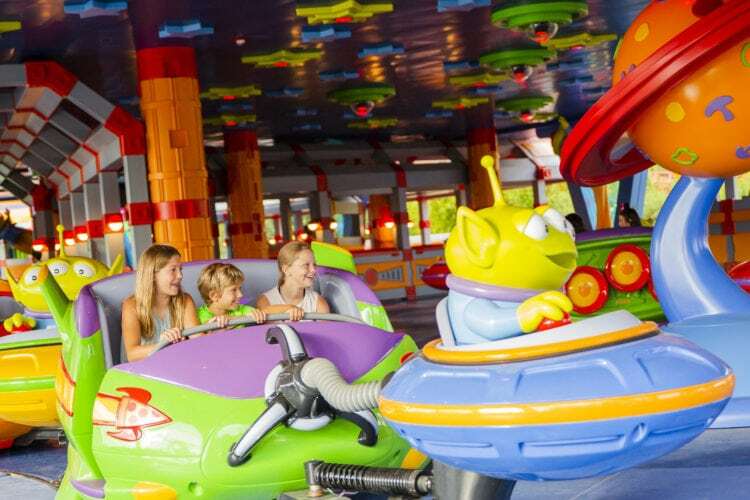 In-park guests attending the event will have the exclusive opportunity to ride Slinky Dog Dash and Alien Swirling Saucers, interact with characters and chow down at Woody’s Lunchbox. Can’t join Woody and his friends at Friday’s ceremony? Don’t fret! fans can watch the #DisneyParksLIVE stream of the Toy Story Land dedication by tuning into the Disney Parks blog at 10:55 a.m. Eastern. Disney Parks will also host the live stream on its Facebook page and Twitter account, @DisneyParks. Are you planning a trip to Disney World soon?